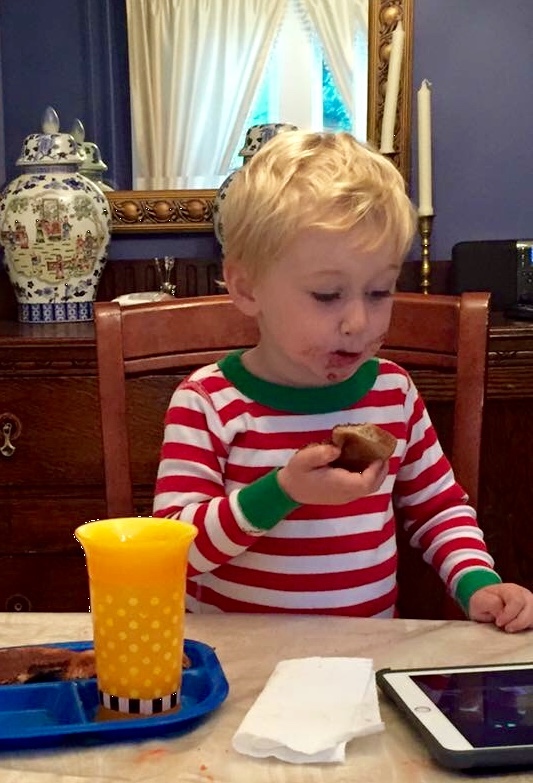 Our adorable Grandson Luke, loves chocolate! I think I should rename this Luke’s Cookie. Did I tell you Luke loves Nutella (see below)? This is not a really soft cookie, it needs to be able to hold the Nutella or the filling of your choice. You can use raspberry jam or any melted chocolate that you like. I happen to love anything almond, and it is the last flavor that lingers after your last bite of this cookie. Preheat oven to 350 degrees F. Line 4 half sheet pans with parchment paper. In a bowl of a standup mixer with the paddle attachment, cream the butter and sugar. Add the salt and flour, beating just until combined. Drop with 1 ½ inch scoop onto 2 of the prepared pans. Bake about 10-15 minutes until they just start to brown around the edges. Add the salt, flour, and cocoa powder, beating just until combined. Drop with 1 ½ inch scoop onto 2 of the prepared pans (these cookies spread more than the almond cookies). Bake about 10-15 minutes, until they just start to slightly brown around the edges. You can use Nutella, raspberry jam or melted chocolate. 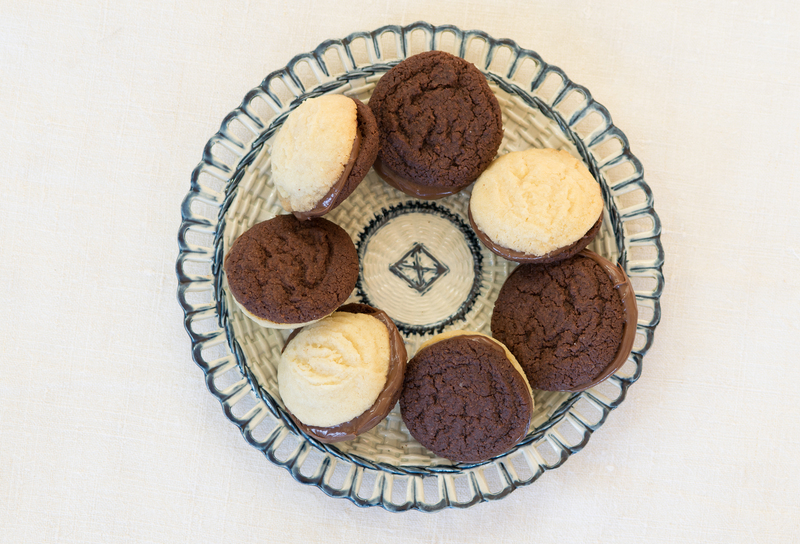 Spread the filling on the flat side of the almond cookie and sandwich together with the chocolate cookie. Repeat this process with the remaining cookies.